Rule 13 - You cannot call 3bets if you intend to just play fit or fold on the flop. When someone asks why you called some 3bet, you need to be able to explain your plan for post flop. If you intend to just call and hope you connect with the flop, then you are burning money. That being said, I am hoping that some of the guru's and grinders might share some of their favorite plans for post flop in 3bet pots for specific types of villains. Thoughts? Before i go on, i want to say that before anything else, that certain textures in a 3bet pot i just straight up fold to like i was playing fit or fold. Its no use continuing with a plan if there is a board texture that favours our villain more than it favour us. That's burning more money to me. This is assuming we are dealing with people who are 3betting "light" enough to do so. I usually use a set range to keep my frequencies in check and one that have better equity than junk in general just in-case I may run into the top of villain range at times. At the most part if I plan to get involve in a 3bet pot where I am not so strong I have major plans and reasoning. *Figure out the pot growth plan: Of course we do not want to execute just to find out that villain is committed after a cbet right? I want to make sure I have enough room to make moves without committing villain. *Figure out what I am exploiting: If I am not sure how I am exploiting someone postflop then I am more likely to just 4bet instead. 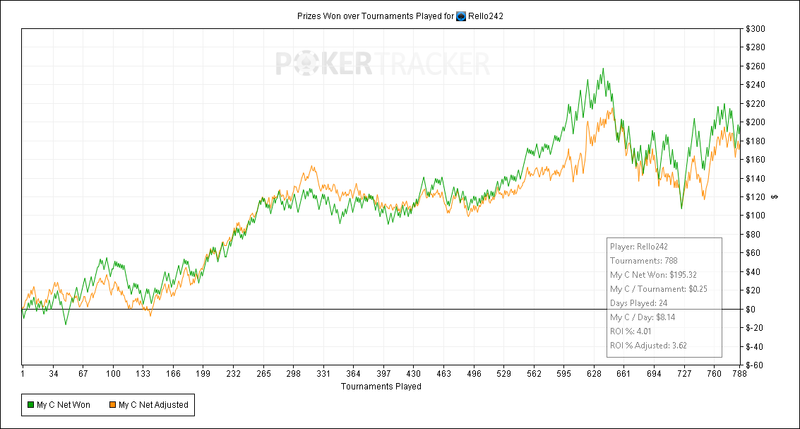 - Easiest tendency to figure out is if he is cbetting a lot and not enough on the turn. I just float here. - If he is doubling alot I look at the possibilities of raising flops, how often is he folding? - If he is fit or fold, then I am more likely to just take away the pot when he doesn't fire and fold when he bets. Playing 3bet pots OOP needs more clarification and a more in-depth plan since we are at a big disadvantage here. So my general rule of thumb, Im much more careful in these spots but much more aggressive. Its something hard to explain but what I mean is, first, I am more careful of the range I enter the pot with, being more incline to 4bet PF more if the situation allows. If I do go postflop and he is going to be bet-bet-bet majority of the time, then I am more likely to take the lead with a raise. If not, I play a reverse float style. He bets flop, check turn, I fire river. 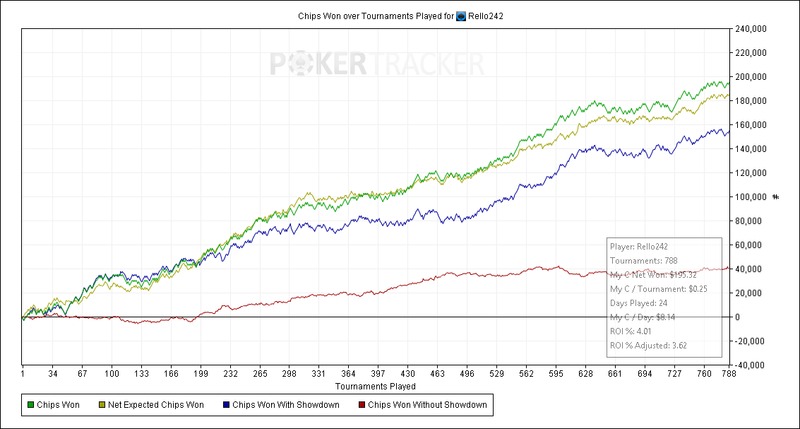 For me to call 3 bets oop I have to feel I have control over my opponent. I have to believe he has a wide range for his 3 bet. And I need to know either he plays fit or fold, or he cbets a wide range as well...or even better checks with a hand and cbets without. Without the control I prefer to 4 bet. Once you have control I'm either check raising a lot of flops...his range is wide (I'm playing backwards poker..calling when I hit and check raising when I miss). Against some players who are one and done when they miss, I'm check calling, check check and betting the river. This works well often with hands like AK if I think villain will try to bluff a turned A or K.
To me I don't like calling 3bets. The passive games I play in 3bets are so rare it is QQ+ 80% or better. If i raising a solid hand and get 3bet I ask myself am I ready to play for stacks. If short staked I just shove then move on. Deep stacked most time will 4bet or fold just move on, but again will be player specific. I am no guru...but this is my two cents. I get 3 bet fairly light in the games I play. Last night I raised in late position when folded to me with fours and I was 3 bet by the button with 67o. I ended up flopping a set. He folded when I double barreled the turn and he showed his drawing hand. If I folded every time I was 3 bet I would get run over. (in certain games of course) This is actually a very tricky issue for me and you make a great point. So when can you call a 3 bet and when do you give up? You are right that if you call without a post flop plan then yes you are burning money. What is the difference between calling a 3 bet with AK or a pair? We need a post flop plan for all. Just a thought. Now in passive games like sixthstreet talks about run for the hills if you are 3 bet! I agree that a lot of times, if the PFA's range hits the board hard... I'm just not trying to outplay them. On the flip side, if I'm the PFA and the board comes out favorable for my range, I'm firing flop close to 100% of the time and may even double barrel if I think V floats frequently or calls w/ marginal hands more often than he should. Usually the 2nd barrel in 3bet+ pot will force V to release his marginal hand like AT on a AK3 board. My plan for handling 3bets+ is very similar to my blind defending plan. If V CB's a high percentage, I will defend wider and call down lighter than I would vs. a low c-bet %. If I see that V CB's flop often but usually shuts down on the turn, I'll fire the turn when checked to. If V unexpectedly fire the turn as well, I'm probably releasing my marginal hands. Anytime something unexpected happens, I'm likely give up more since things are not going according to plan. Against liberal C-bets from loose players, I'll get more creative and play less fit or fold. Against the opposite, I'll play more fit or fold and more my own hand.